Fans of Square Enix OST’s will be in for a treat with the opening of the Square Enix portal solely for it’s Piano Collections range of soundtracks. As you can pretty much guess from the name, the series will contain music from the rich SE catalogue rendered only by piano of classic moments in gaming history. At the moment, the site contains tracks ranging from NieR, Kingdom Hearts and Final Fantasy. 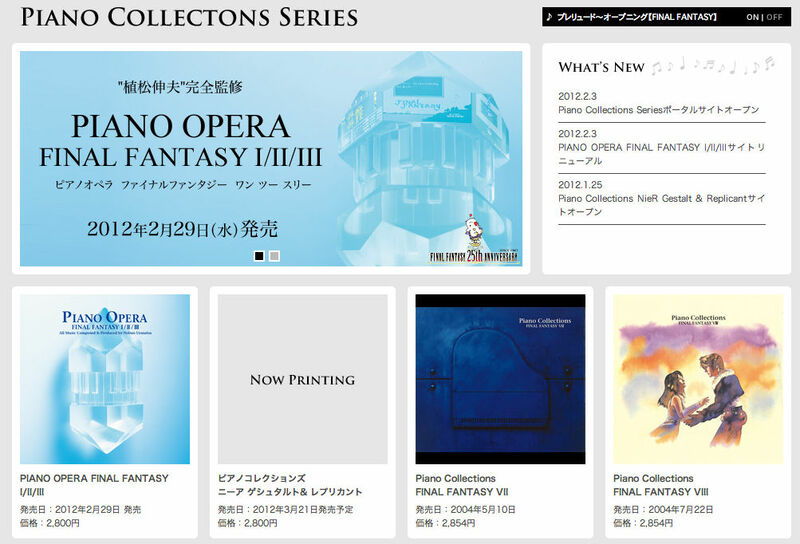 The Piano Opera Final Fantasy I/II/III official soundtrack also received a facelift courtesy of Square Enix. The site will contain a complete track list, samples and more exciting for fans, comments from Hiroyuki Nakayama and Nobuo Uematsu. 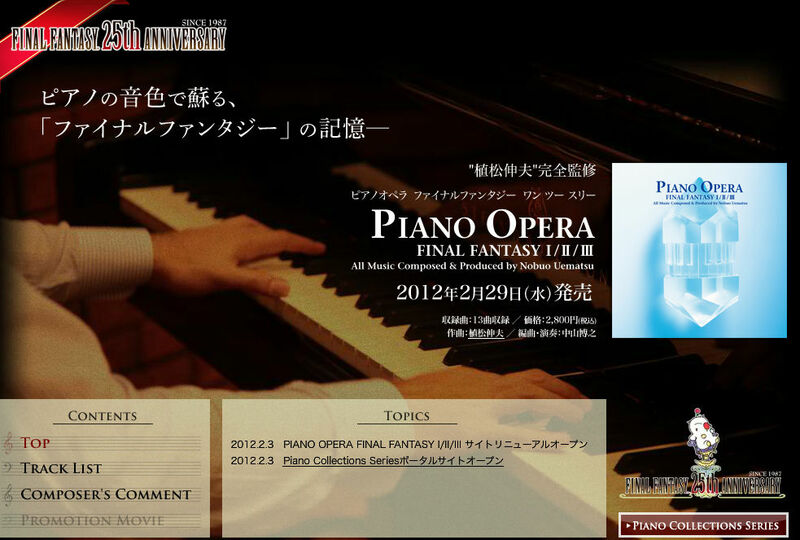 The Piano Opera Final Fantasy I/II/III soundtrack will contain 13 tracks and is due for release on February 29 for ¥2,800. But if listening isn’t your cup of tea and you’d rather play the music, there will be a sheet music book for sale in early March priced at ¥1,800. Access the Piano Collections site here.